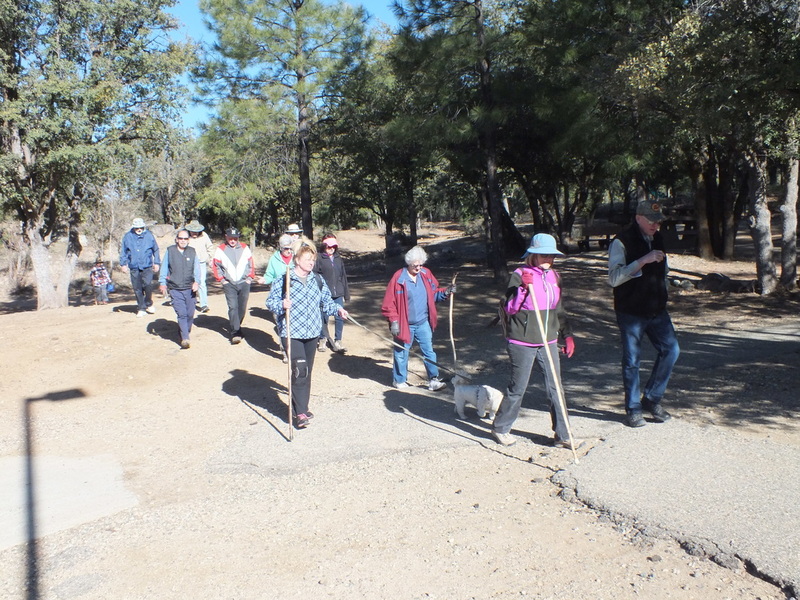 Happy Trails hiking group hikes on the second and fourth Wednesdays of each month, March through October. On the second Wednesday the hikes are typically 1.5 - 2.5 miles long and on the fourth Wednesday the hikes are 2-5 miles long and more strenuous. Hikes include group stops along the trail for a bit of area history and a short Christian devotional. 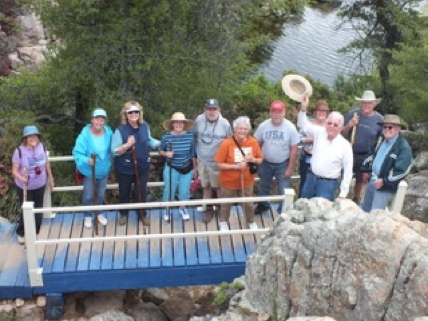 For more information on this friendly group of hikers, call Sheryl & Mark at 928-350-5595 or email Sherylac64@gmail.com. Upcoming “Happy Trails” hike! Join us! We will meet at 9:00 a.m. for a hike on a dirt trail at Willow Lake of about 1 hour, 15 minutes total. The trailhead is behind the city dog park on Willow Creek Road. The trail leads to Willow Lake, passing the cottonwood peninsula and later paralleling Willow Creek Road for a short way, with some gradual ups & downs as the trail heads towards the tunnel under Willow Creek Road. The colors of Spring, the flocks of birds and the perspective from the west side of the very full Willow Lake make for an interesting Springtime hike. Turn into the parking lot at the dog park, 3181 Willow Creek Rd. Drive straight back past the dog park to the trailhead. Drive slowly as you pass the small ball field on your left as there is a sharp drainage dip in the paved road. Come for the fellowship . . Come for the scenery . . Come for the exercise!